Separatism in Punjab was and is a complex issue, and it is impossible to contextualize it in black and white binary. The Indian state’s record of human rights violation for a prolonged period has to be juxtaposed while understanding the rise of separatism in Punjab especially from the late 1970s. It took hardnosed ‘counterterrorism’ measures (led by the controversial supercop KPS Gill), resulting in further human rights violations, to force peace in the troubled state. Today, the embers of separatism may not be glowing as sharply as they did in the past, but the sense of injustice continues to linger, especially among the global Sikh population. And there is justifiable anger over the absence of justice to the victims of the anti-Sikh carnage in Delhi following Indira Gandhi’s assassination in 1984. The demand for justice continues to figure sporadically in Canadian public life. For instance, just last month NDP’s Member of Provincial Parliament Jagmeet Singh had introduced a private members’ motion, reading, “That, in the opinion of this House, the Government of Ontario should recognize the November 1984 state organized violence perpetrated against the Sikhs throughout India as genocide.” Despite the tacit support of the Progressive Conservatives, the Liberal government ensured the NDP motion’s defeat. On the other end of the political spectrum is Ujjal Dosanjh. He has consistently opposed resorting to extremism and terror as a solution to the many and vexatious problem that the state of Punjab faced, and its fallout on the Sikh community globally. Dosanjh is among the most prominent contemporary Indo-Canadian leaders, who have had a long, illustrious and chequered career in serving the people. Unafraid to voice his opinions on fighting the scourge of terrorism, he has had to face consequences. Dosanjh has ceaselessly and strongly spoken out against the Khalistani separatists operating from Canada. He has fought them British Columbia, the province where he has had a fruitful life as a public servant and an elected representative both in the provincial legislature and as a representative in the federal parliament. 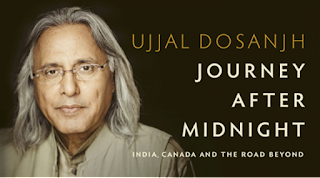 Dosanjh’s memoir Journey After Midnight India, Canada and the Road Beyond was released in Toronto this afternoon at a well-attended event organized jointly by the National Council for Indo-Canadians and the Canadian Thinkers Forum. Dosanjh was accompanied by his wife Raminder. Speaking at the event, he said his father words “One may walk fewer steps in life, but one must always walk with dignity,” has been his personal credo that has sustained him throughout his life. I’m reproducing an extract from the memoir that describes the attack on him that nearly killed him. There have been many more attacks on him subsequently, but this one made front-page headlines in India. Friday, February 8, 1985, was a morning like any other. I made lunch for the children. Rami had already fed them breakfast. She left for work earlier than I did. I dropped the boys at school, and the law office was busy as usual. Meb and I had five staff, so it was a lively place. I had a five-day personal injury trial scheduled to begin the following week in the Supreme Court of British Columbia; between seeing clients, I prepared for the trial. Sometime during the day, a man called our office and asked the receptionist what time I would be leaving. Upon being told 5:00 PM, he hung up. I thought someone had probably wanted to come and see me. That was not uncommon; some immigrants had not yet figured out that they needed to make an appointment, and many clients simply dropped by my office. I accommodated them whenever I could. I packed two briefcases full of work for the weekend. Dave Barrett, Mike Harcourt, Wally Oppal and a couple of other friends were invited for dinner the following evening. Since my press conference in August of the previous year, I had spoken privately with them and many others. But fate would deny me the chance to welcome a former and future premier along with a future Attorney General to my house. I was about to confront its more ominous plans for me. I left my office via the stairs at the north end of the building that led to the parking lot. From our office windows west, we could see our cars, but the stairs were poorly lit. Walking down those stairs I never felt the door would open to light. It was dark out. Parking lots are never places that warm hearts, but this one was at least outdoors, and it rarely felt lifeless, since kids played in the alley after school. Across the alley were homes people by ordinary folks. I walked the width of the lot to my second-hand orange Renault Le Car. Unfortunately, Khalistanis had turned orange from the colour of sacrifice, of detachment from greed and fear, into a symbol of terror, fear and the intent to dismember India. I put my two briefcases on the ground and was fumbling in my pockets for the car keys when I heard footsteps running toward me. I wasn’t alarmed. I assumed it was a child playing in the alley. But then I heard the footsteps stop next to me. I turned my head and saw a tall, large, bearded man standing next to me with his hands raised over his head. In them, he clutched a thick iron bar. The man pummelled my skull several times in quick succession. Instinctively, I put up my right hand to protect myself; it too got pummelled. I heard yelling, and then Meb was running toward us, his briefcase raised like a weapon. The man paused, tilting his head, and in that moment I picked up one of my briefcases and lunged at the man. He turned and ran into the alley, turning to look back as he escaped. I ran behind him a few steps, until Meb stopped me. There was a doctor in the same building as our law office, and Meb walked me there. As I lay on the doctor’s table, a threat from the day before, left in Punjabi on our home answering machine, flashed through my mind: “Jay toon bakvaas bund naa kita aseen tenun sodh diangay” – if you do not shut up, we will straighten you out. Rami was unpacking the groceries she had brought home for dinner when the phone rang. It was Meb telling her I was hurt. She immediately called Bhaji. When she arrived, I was sitting up on the edge of the doctor’s table. She remembers me with the bloodied head, face and clothes, telling her, “I am okay.” Doctor Tam had cleaned and iced me as much as he could before the ambulance arrived to take Rami and me in Vancouver General Hospital. I was wheeled into emergency, where a doctor stitched up my head wounds. He told me I was lucky to be alive. It took eighty-four stitches to sew my skull up. The gashes from the iron bar had formed deep Xs and Ys on my skull. If they had been any deeper, the doctor said, they would have threatened the integrity of my brain. Many of the cuts required two layers of stitches to close. Haqqani was Pakistan’s ambassador in US. He has written couple of books such as Pakistan: Between Mosque & Military, Magnificent Delusions. He was involved in negotiations with US President George H W Bush’s administration in 1991-92 as he was special assistant to then Prime Minister Nawaz Sharif. Jihadi terrorism of 1991-92 was quite different than of todays. Pakistan’s jihadi terrorism had not yet come out in the open. Lashkar-e-Taiba (LeT), Jaish-e-Mohammad (JeM) were not big players. Let has 200 acre sprawling compound in Murdike, near Lahore and JeM has a big Madrasa in Bahawalpur. Baker wrote a letter to Sharif in May 1992 saying that Pakistan should take ‘steps to make certain that Kashmiri and Sikh groups and individuals who have committed acts of terrorism do not receive support from Pakistani officials.’ Sharif responded saying his government is firmly opposed to terrorism in all its forms. The March 1987 Jammu and Kashmir (J&K) assembly elections is a major turning point. The controversial elections saw defeat of Muslim United Front (MUF). They could win only eight of seventy seats. Mohammad Yusuf Shah of MUF was declared winner earlier and later in a few minutes he was declared defeated and arrested. MUF accused that the polls were rigged. Shah later became Syed Salahuddin and heading a militant outfit Hizb-ul-Mujahideen from Pakistan. The 1987 elections provided an opportunity to Pakistan to influence people of Kashmir valley. 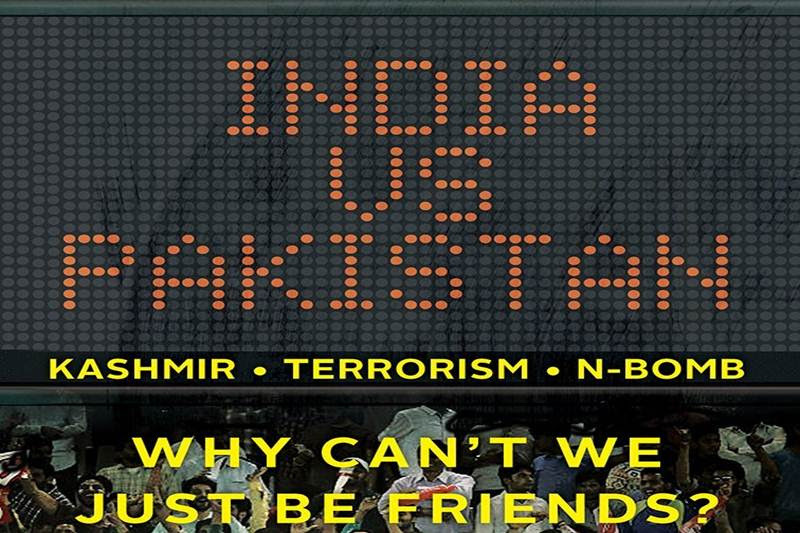 The pertinent question author raises is why cannot India and Pakistan be friends? Mistrust of each other is a major reason. He is concerned about “shrinking space” for both the countries to become friends. The absence of trust is an issue and it needs to be tackled. To revive trust between two governments and common people various steps have been taken but it is like one step forward and two steps back. Specific issues like Siachen, Sir Creek, people-to-people contact, WullarBarage etc. were identified and a composite dialogue was initiated. It moved in a positive direction but not towards resolution as some blasts, attacks took place in Indian soil. The pattern of attacks clearly indicates that there are forces in both the countries who do not want to peace to prevail in the region. The policy needs to be uninterrupted and uninterruptible. In the absence of such policy, enemies of peace will always take advantage. 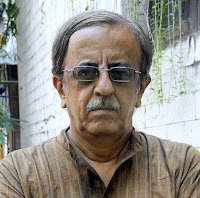 The author says under the military’s influence, Pakistani nationalism has evolved as anti-Indianism and Indian nationalism describes Pakistani identity as inherently communal and reiterates need to dispute the two-nation theory. The current pause in the dialogue and mistrust between two countries is surprising. Mahatma Gandhi always wanted good ties between two countries. In fact, he wanted to visit Pakistan but could not do so as Nathuram Godse and his gang assassinated him on 30th January 1948. He lived for only few months in Independent India. Similarly, Muhammad Ali Jinnah, Quaid-e-Azam of Pakistan, had a special affection for Bombay. He wished India and Pakistan to have an association similar to US and Canada. Even he did not survive long after Pakistan became an independent nation. He passed away on 11th September 1948. Both the great leaders were for enduring peace between two countries. Jinnah gave importance to the secularism in Pakistan. His speech of 11th August 1947 before the constitution assembly Indicates it truly. He said,” You are free; you are free to go to your temples, you are free to go to your mosques or any other place of worship in this state of Pakistan. You may belong to any religion caste or creed – that has nothing to do with the business of the state”. The book is written objectively. It is not easy for any Indian or Pakistani to write objectively on the issue of India and Pakistan. Objectivity on the issue is seen with suspicious in his or her country. 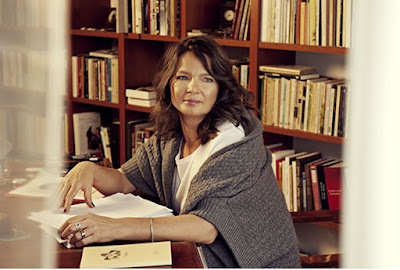 It is essential that more and more Indian and Pakistani writers writer objectively. Such kind of objectivity can help in removing misconception about other country and it can help in building trust. The book is a must read. It is published by Juggernaut Book and priced ₹ 299. 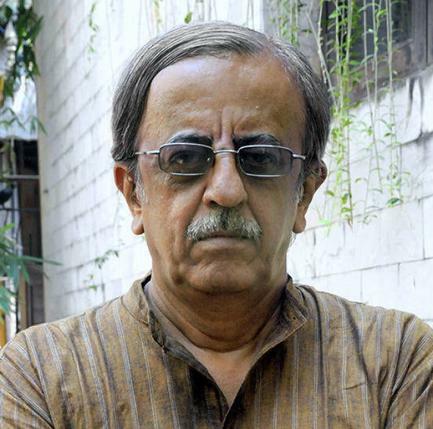 Jatin Desai is the General Secretary of the India chapter of the Pakistan-India People’s Forum for Peace and Democracy (PIPFPD). The London Guardian has given a bad review of Bhupen Khakhar’s (1935-2003) exhibition (You can’t please all at Tate Modern), and it has expectedly given heartburns to the art fraternity in India. A stray bad review by an art critic will not make or destroy the monumental reputation that Bhupen Khakhar justifiably enjoys. I’m reading Anton Joseph, Salman Rushdie’s memoir of his harrowing days in the hiding from the Iranian fatwa following the publication of the Satanic Verses. 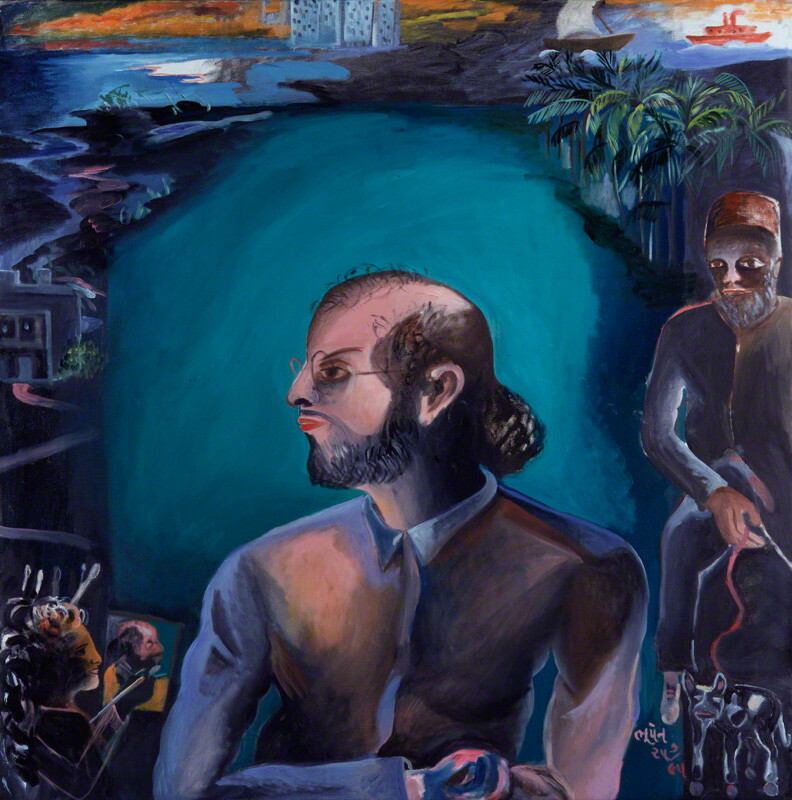 Rushdie and Khakhar shared close bonds, and Khakhar also features as a character in The Moor’s Last Sigh. Although they were friends, and even if we agree that the author’s opinion about the painter’s greatness would be biased, the memoir gives a keen insight into Khakhar’s significance to Indian art. Read the passage from the book for a better understanding of Khakhar, and Rushdie’s endearing narrative skills. The BBC made a documentary about The Moor’s Last Sigh and commissioned his friend the Indian painter Bhupen Khakhar to paint his portrait for the film. It was a novel about his painters and painting and his friendships with a generation of gifted Indian artists – with Bhupen himself above all – had allowed him to think of writing it. They had first met in the early 1980s and each of them had at once seen himself in the other and they had quickly become friends. Soon after their first meeting he went to Bhupen’s show at the Kasmin Knoedler gallery in London. In his pocket was a check (cheque) for a story he had just sold to The Atlantic Monthly. At the show he fell in love with Bhupen’s Second Class Railway Compartment and when he discovered that the price tag was exactly the same as the figure on the check in his pocket (Indian art was cheaper then) he had happily turned his story into his friend’s painting, and it had remained one of his most prized possessions ever since. It was hard for contemporary Indian artists to escape the influence of the West (in an earlier generation M. F. Husain’s famous horses had leaped straight out of Picasso’s Guernica, and the work of many of the other big names – Souza, Raza, Gaitonde – was too deeply indebted for his liking to modernism and Western developments in the abstraction). 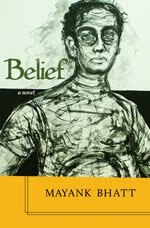 Finding an Indian idiom that was neither folkloric nor derivative had not been easy, and Bhupen had been one of the first to succeed, looking at the street art of India, the movie posters, the painted shop fronts, and at the figurative and narrative traditions of Indian painting, and creating out of that visual environment an oeuvre of idiosyncrasy, originality and wit. At the heart of The Moor’s Last Sigh was the idea of the palimpsest, a picture concealed beneath another picture, a world hidden beneath another world. Before he was born his parents had hired a young Bombay painter to decorate his future nursery with fairy-tale and cartoon animals and the impoverished artist Krishen Khanna had accepted the commission. He had also painted a portrait of the unborn Salman’s beautiful young mother, Negin, but her husband, Anis, hadn’t like it and refused to buy it. Khanna stored his rejected canvas at his friend Husain’s studio and one day Husain painted a picture on his own over it, and sold it. So somewhere in Bombay there was a portrait of Negin Rushdie by Krishen, who of course, grew up to be one of the leading artists of his generation, concealed beneath a picture by Husain. Krishen said, “Husain knows where every picture of his has ended up, but won’t say.” The BBC tried to get him to say, ut the old man angrily tapped his cane on the floor and denied that the story was true. “Of course it’s true,” Krishen said. “He’s just worried that you want to destroy his painting to find your mother’s portrait, and he’s offended that you’re looking for my picture and you don’t care about his.” In the end he had come to think that the portrait was more evocative lost than found – lost, it was a beautiful mystery; found, it might have proved that Anis Rushdie’s artistic judgement had been correct, and that then apprentice Khanna hadn’t done a very good job – and he called off the search. He sat for Bhupen in a studio in Edwardes Square, Kensington, and told him the story of the lost picture. Bhupen giggled delightedly and worked away. His portrait was being painted hi profile in the tradition of Indian court portraits, and like a good nawab he wore a see-through shirt, only his, painted by Bhupen, looked more like nylon than sheer cotton. Bhupen began drawing in a single movement, a charcoal profile that caught an exact likeness with effortless skill. The painting that covered this single charcoal line looked in some ways less like its subject and more like the character of Moor Zogoiby in the novel. “It’s a painting of you both,” Bhupen said. “You as the Moor and the Moor as you.” So there was a lost portrait beneath this portrait too. The completed painting was eventually acquired by the National Portrait Gallery, and Bhupen became the first Indian artist to have a work hanging there. Bhupen died on August 6, 2003, on the same day as Negin Rushdie. There was no escape from coincidence, though the meaning of such synchronicity remained elusive. He lost a friend and a mother on the same day. That was meaning enough.